11 April 2019, Makati Philippines – Metropolitan Bank & Trust Company (Metrobank) listed PhP 17.5 Billion three-year fixed rate bonds on the Philippine Dealing & Exchange Corp. (PDEx) organized secondary market, bringing the year-to-date total of new listings to PhP 76.50 Billion, up by 65% from the same period last year. The newly listed MBTC bonds, which were upsized from the initial target of PhP10 billion, form part of Metrobank’s PhP 100 billion bond program. 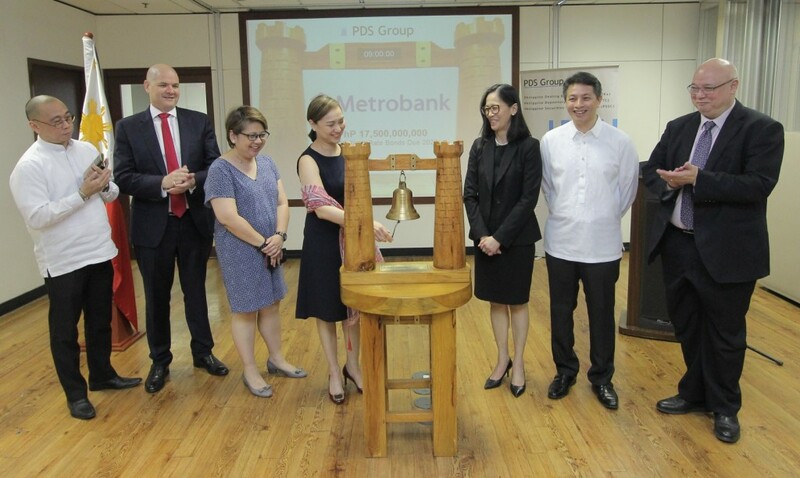 In total, Metrobank’s outstanding amount of fixed income securities listed on PDEx now stands at PhP 80.83 Billion.